Special circumstances often call for special equipment. That's where this Caravan 10 ft. Mesh Foodwall Pack (Set of 4) comes in. It's that perfect piece of equipment for that one situation that's so difficult to plan for. In this case, that specific situation involves selling, serving, or holding food in an outdoor atmosphere. This set of four mesh walls consists of three walls with pass-through windows and one wall with a middle zipper. 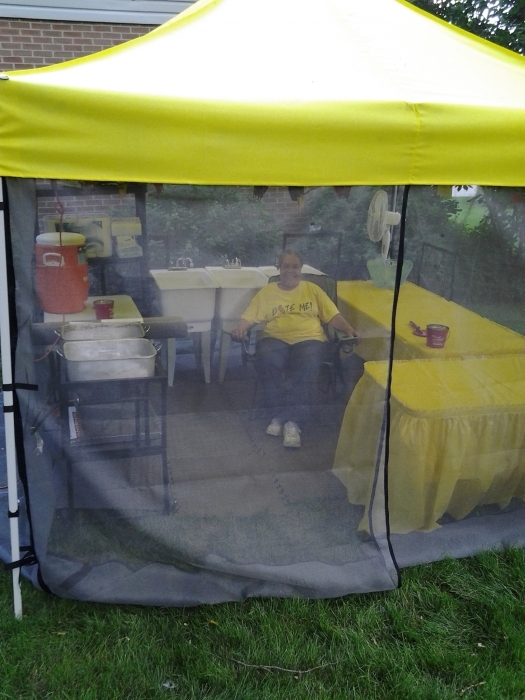 The pass-through windows allow for people inside the tent to pass or serve food to people on the outside, and the zippered wall allows for easy entry and exit. The idea is to allow for the passage of food and for ventilation while minimizing the effects of strong wind and especially bugs. No one likes to leave food sitting outside. 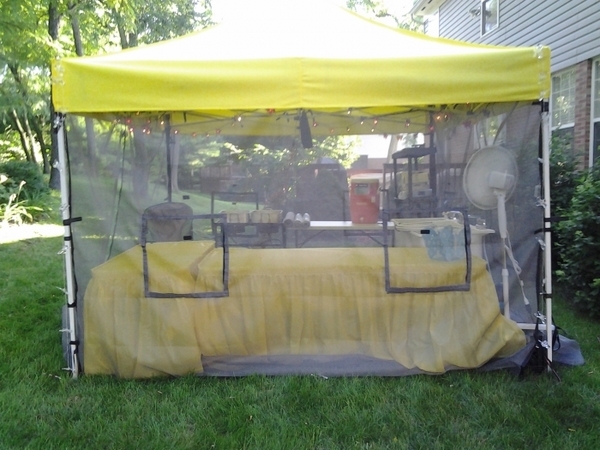 Food vendors at outdoor events, tailgaters, and picnickers really love this setup because it keeps bugs off of the food, which is both more appetizing and prevents the transmission of nasty bacteria. The Caravan 10 ft. 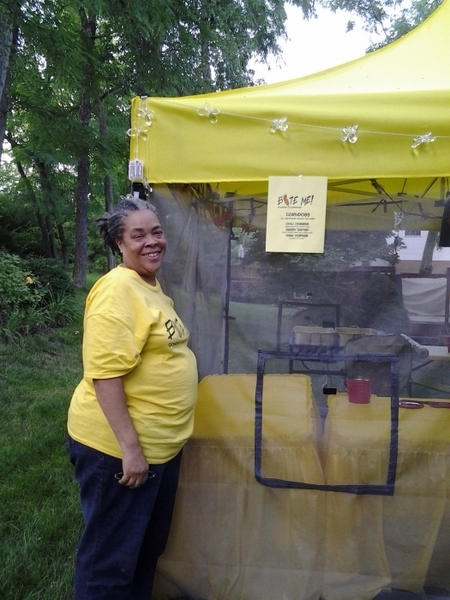 Mesh Foodwall Pack (Set of 4) makes outdoor food service and distribution easy, sanitary, and fun for both the people handing out the food and those receiving it. Grab a set before your next planned outdoor food event, and watch how much easier it makes food questions for you and your friends. Please Note: This is for the FoodWall/Sidewall Pack ONLY. The canopy pictured is not included. WARNING: This product can expose you to chemicals including Diethylhexyl Phthalate, which is known to the State of California to cause cancer, birth defects, or other reproductive harm. For more information go to www.P65Warnings.ca.gov. What are the Dimensions of the pass through windows, and does the mesh fabric have a fire safety rating? The windows in these walls measure right at 20" square. The walls are CPAI-84 certified and have a patch sewn on to them listing them as such. Is this Caravan 10" Mesh Foodwall Pack for food vendors? I need to have 16 mesh per square inch screen. Yes, this foodwall pack is specifically designed for vendors. It is only suitable for use with our Caravan 10' x 10' pop-up canopy frames. Will these mesh sidewalls satisfy CA health department requirements? 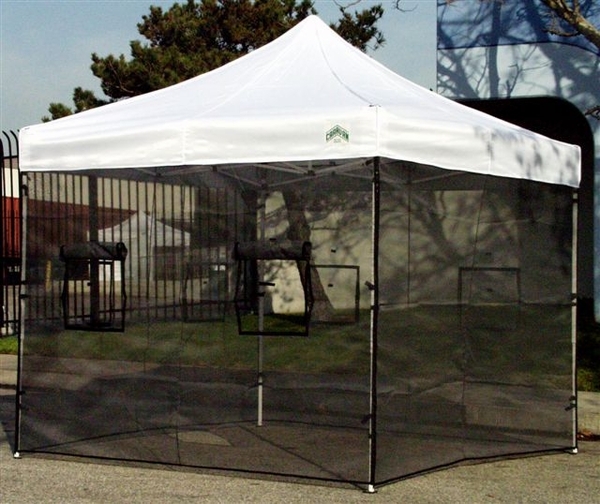 We need to set up our canopy with the mesh sidewalls in a windy area. The winds are typically in the 20-25mph range. Will the mesh foodwall pack be able to stand these winds with heavy duty tiedowns? The food wall pack is not wind rated, as that is typically a rating for the frame or top. We cannot comment for certain how the walls would handle these winds. I am so happy with my mesh foodwall pack. I put up my tent with my yellow canopy and it looks so professional and that is important to me because I am a Chef. The pass thru windows are perfectly placed. Having the food wall will protect food from insects. It is pleasing to the eye and I think my customers will appreciate the lengths we have gone though to protect their food. We purchased a set of these and ended up using them for many different events. They are extremely helpful on hot days when you need that breeze to come through or you need visibility, but also need your tent closed off. We've used them so much, we had to order another set. The original set lasted more than 6-7 years (still using them) before we had an issue with a Velcro strip. However, we use these side walls for some many different events and a lot of uses, so it may have been "operator error". I highly recommend these to help air out your booth on those hot days especially.